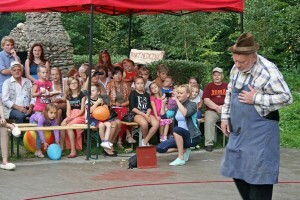 “Reminiscence Theatre of Lower-Silesian Seniors” is a theatre workshop for seniors, with the participation of young people. During the series of our meeting the seniors and youth create etudes together, based on the real stories of the elder person. 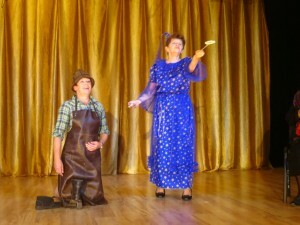 The actors are authentic participants of the portrayed events. 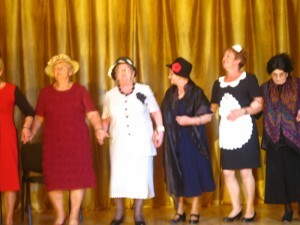 At the workshop we will use some elements of the Reminiscence Theatre method, which relies on building up a relation and talking to the participants about the memories. We show how to breath properly, teach improvisation, offer exercises that improve the memory and concentration, lead relaxation based on the Schulz and Jacobson methods and offer physical training. The inspiration for this project was the „Age Exchange” method of Davida Savill, who is being active in this area for years in London.